“Records tumbled” – read the subject line. An email from Herr Kommissioner first thing Monday morning. The Sunday after we played South Hampstead. No! I suppose I did not really need a reminder of the pasting we took. 342 in 40 overs. 246 of them in the last 20 overs! “… most runs in a match (651), highest score by opposition to win (342/6), highest score for KCC to lose (309 all out), highest score at the fall of 8th, 9th and 10 wicket …” etc. etc. So tumbled the records. 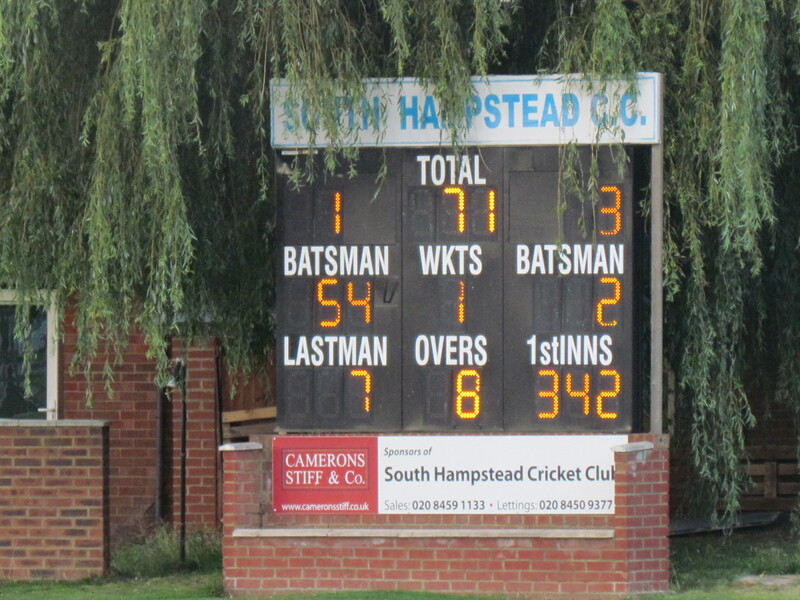 There really isn’t much to say about South Hampstead’s innings aside from the fact that no matter who/what/how/where we bowled, the ball seemed to disappear out of the ground. 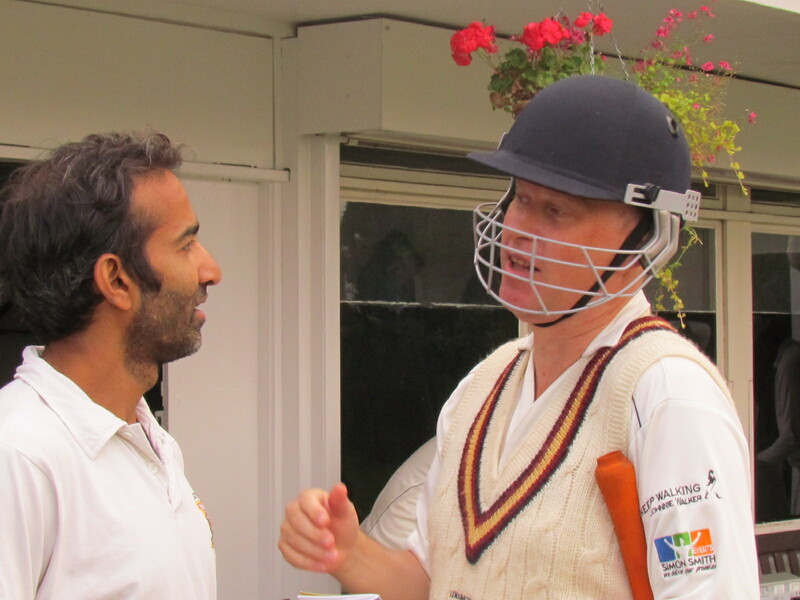 So let me just tell you about KCC’s superb run chase (albeit in a losing cause). Tim, opened with Chris, and set the tone with a brutal 70 off only 40-odd balls. BANG! BANG! BANG! When Tim fell, at 139/3 in the 18th over, we were only just behind the asking rate. 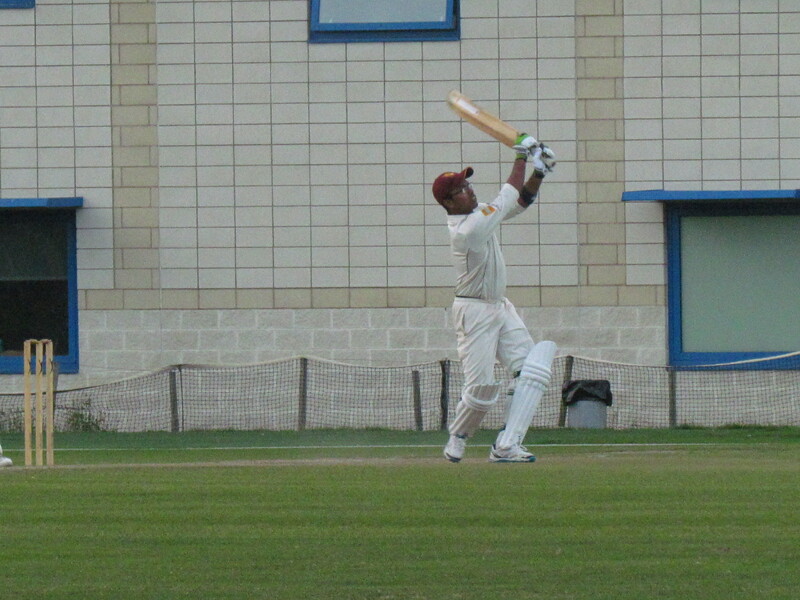 Skipper Rohan (50) then forged two partnerships. 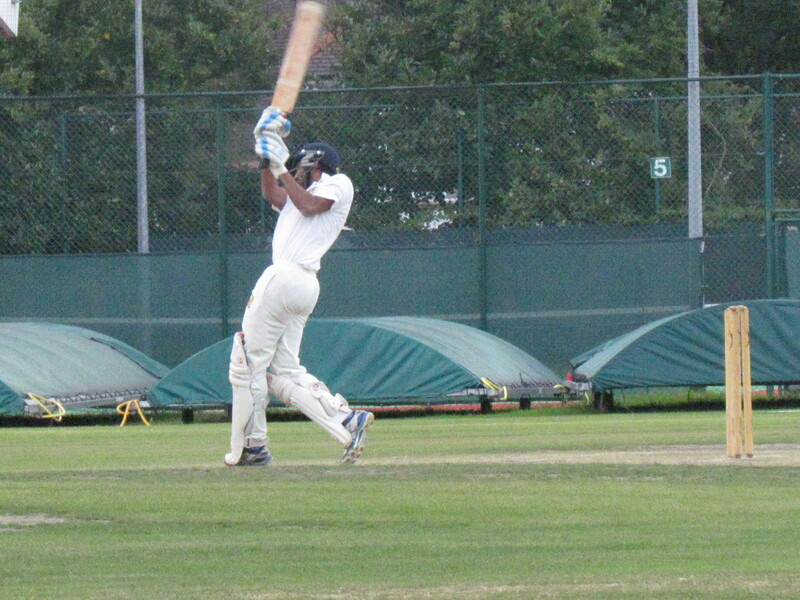 First a 61 run stand in 6 overs with Pammi, who smote a torrid 62 off only 43 balls. SWISH! CARESS! Skip and a CLIP! 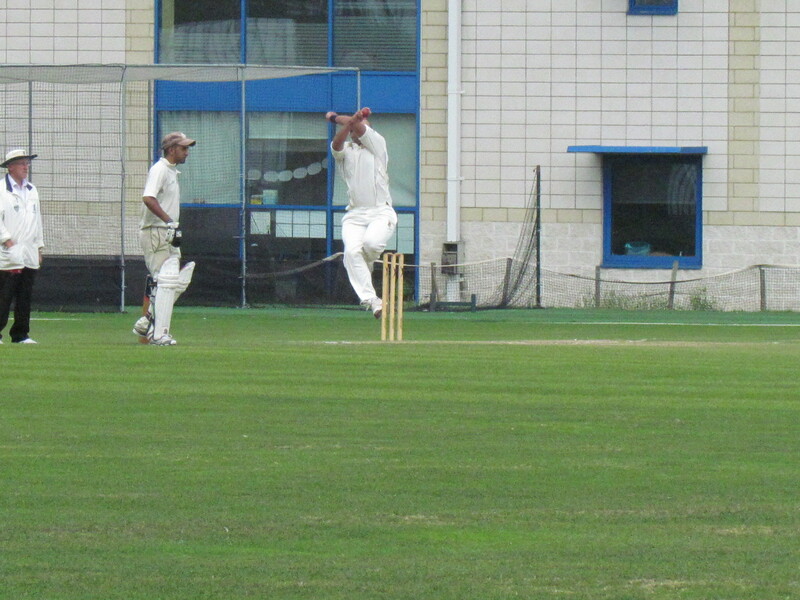 Then a 81 run stand in 8 overs with a belligerent Saikat. 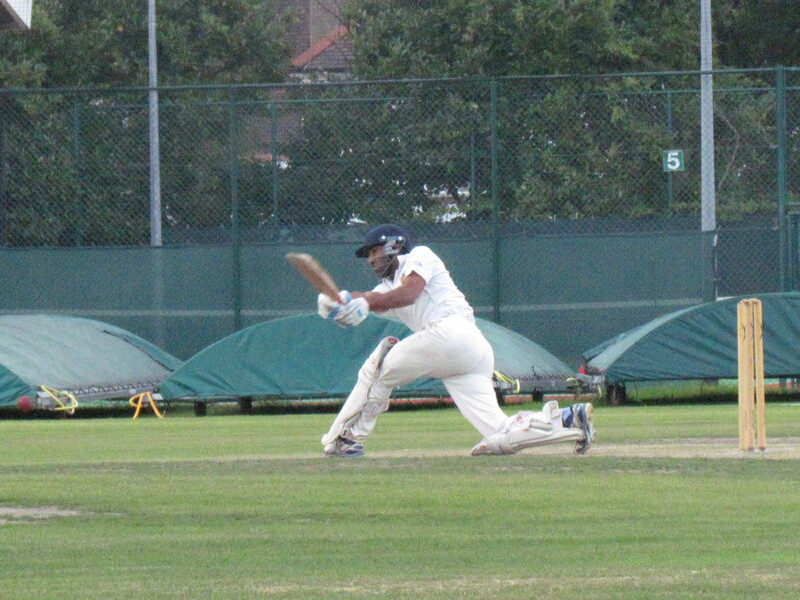 In no mood to show mercy, Saikat smashed three huge sixes off a 12 year old, possibly scarring him for life before completing his maiden fifty for the club (58 off 34 balls). BIFF! BANG! Blistering barnacles! At 222/5 in the 30th, we were still in the hunt. But alas! Fading light put an end to our ambitions of recording an unlikely triumph. 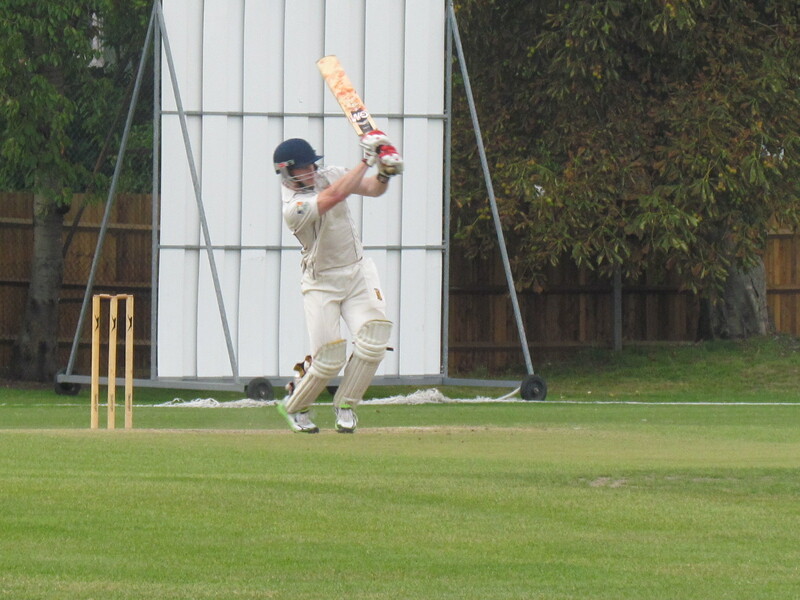 But not before Eddy (15 off 6) had his say, adding to the team tally of 12 sixes and 41 fours with a few of his own. Wow! What a whirlwind. It takes my breath away just thinking about it. Off to the fridge … I need a cold one. 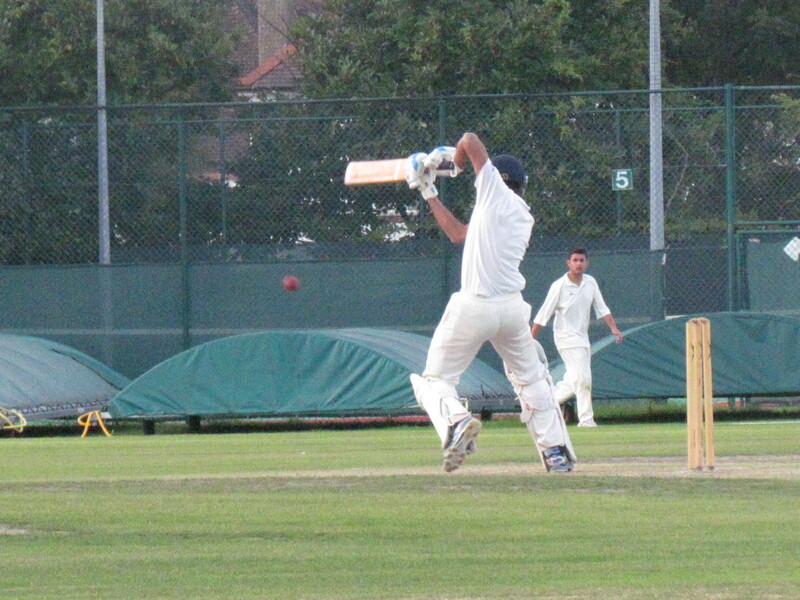 This replacement fixture attained via the CCC proved popular amongst KCC’s west London massif. For most, transport proved a breeze. Seethal, who had the shortest commute, just about made the start. 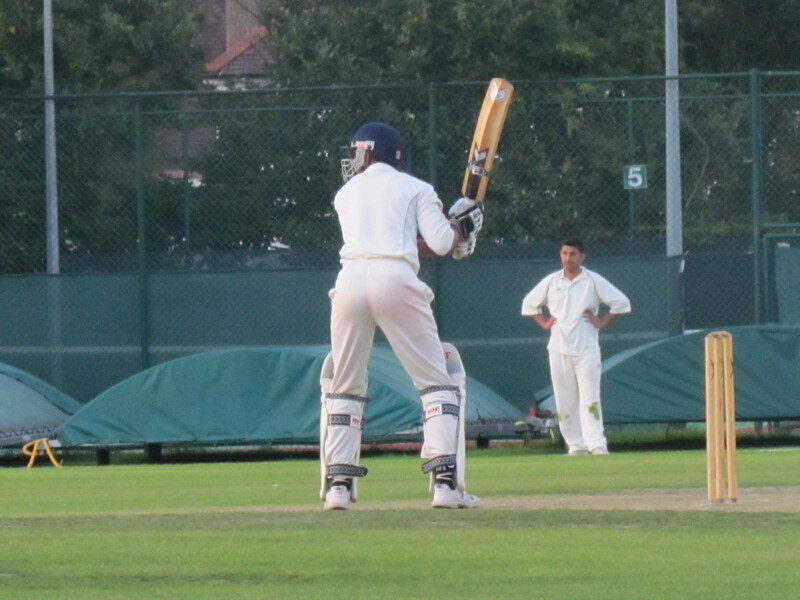 The South Hampstead CC ground is almost a mirror image of Barnes CC with a much better pitch. 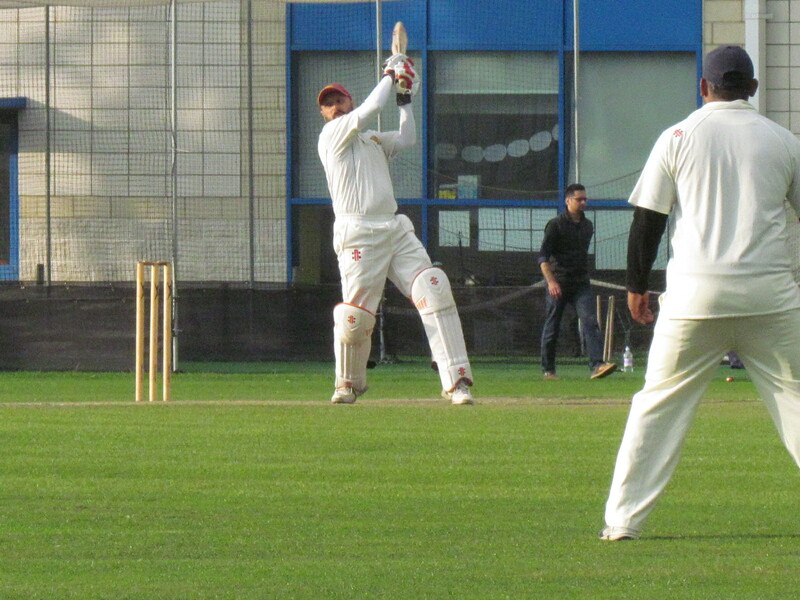 Rohan lost the toss and, not surprisingly, the home side chose to bat. (Ro’s note to self: Must rethink Matthew’s ‘always call tails’ theory). Almost immediately, openers Timor and Naveed got stuck in, dispatching anything loose to the short boundary on one side. At 132/2 in the 20th over, our backs were against the wall. 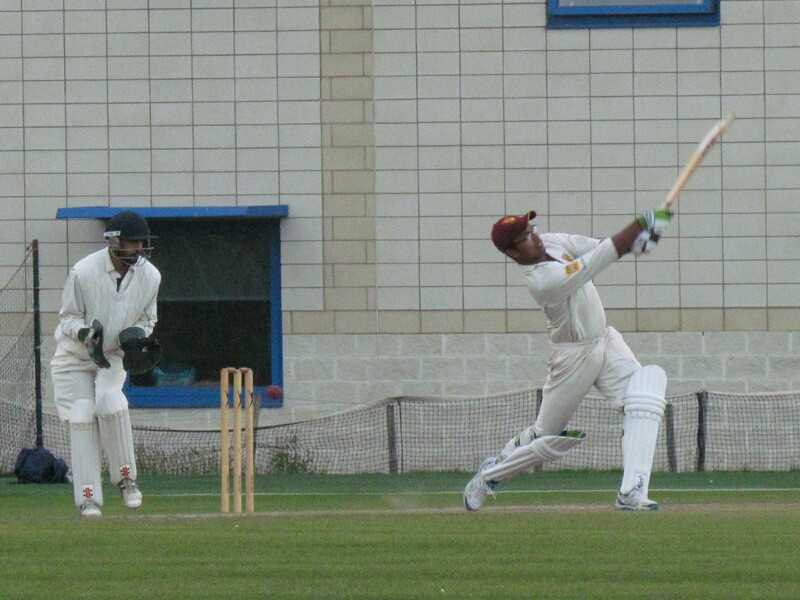 Still, heavy overhead conditions meant that there was always enough in it for KCC’s bowlers. 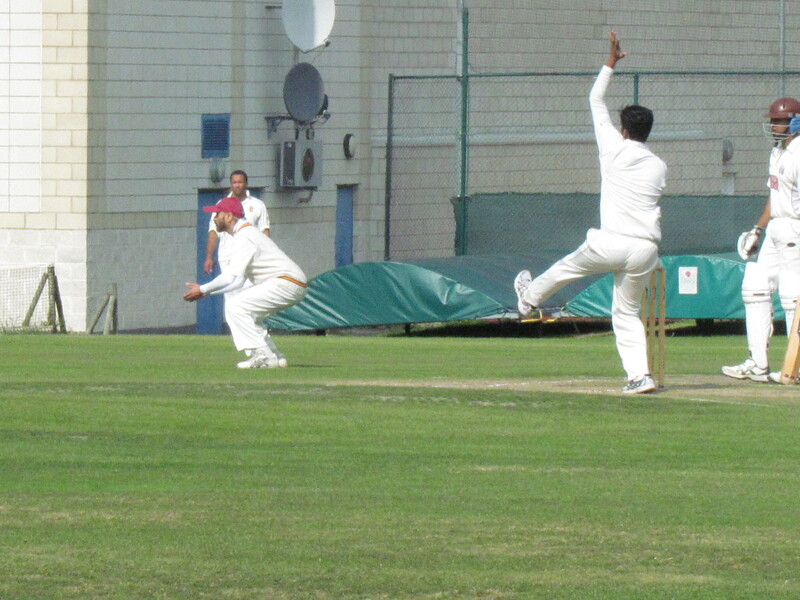 Manas, Deepak and Amit all bowled well. 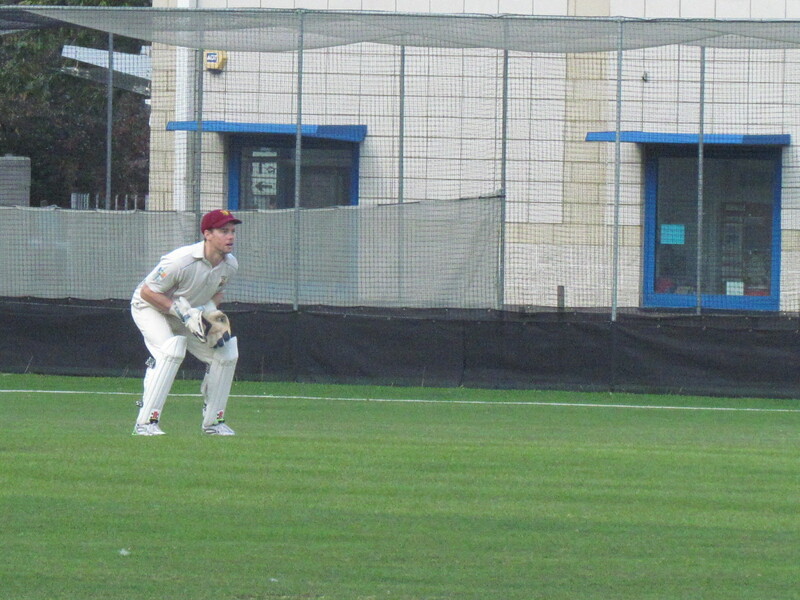 Our fielding looked sharp, in fire fighting mode. 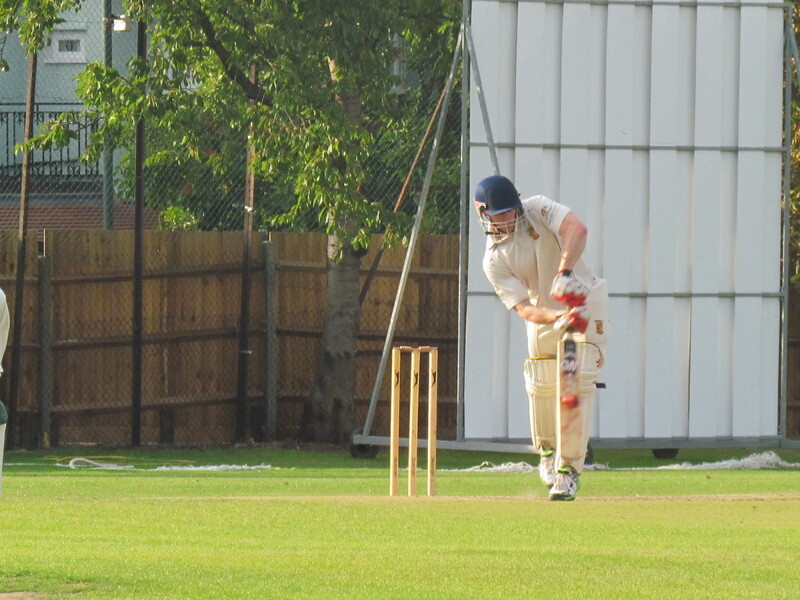 Ultimately, we were able to restrict South Hampstead to 226/5 before the rain had us scurrying to the pavilion and an early tea taken. A gettable target in 36 overs, we thought. 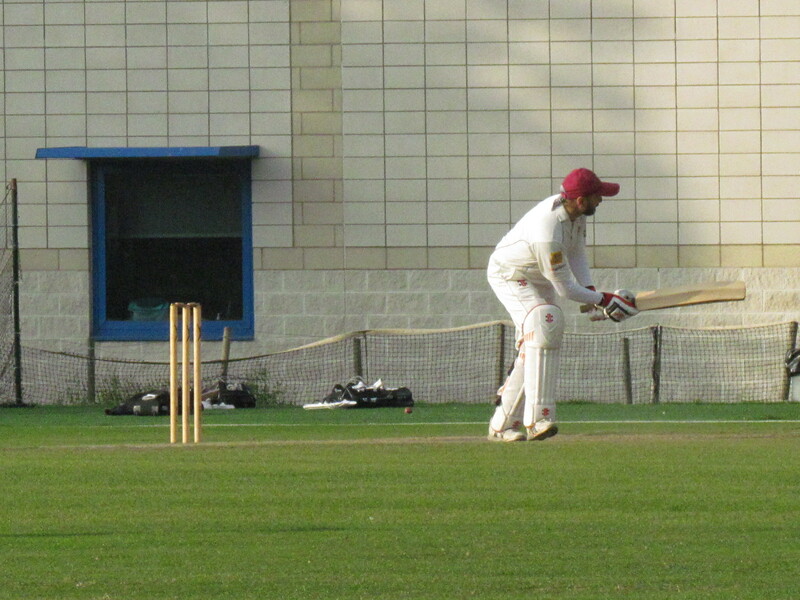 Particularly with our batting, which was full off attacking players. Tim, Amit, Ajit, Shahzeb, Ben and Rohan amongst others. Sadly, a heavy downpour swamped the pitch during the tea break and the match had to be abandoned. Whereupon, the Kensington massif retired to the Paradise for a few posh drinks.